Despite the ever-dwindling fortunes of major labels and record stores, 2011 actually gave us some reasons to be cautiously optimistic about the state of the music industry. 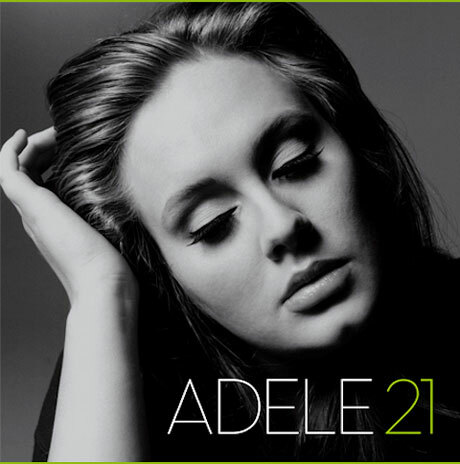 Reports have indicated that album sales this year have been slightly higher than last year, and this is thanks in no small part to Adele's smash hit 21. The British belter's sophomore album has now become the best-selling album of the last seven years. Billboard [via Consequence of Sound] reports that Adele's LP has shifted 5.28 million copies in the U.S., making it the biggest seller since Usher's Confessions cracked more than eight million back in 2004. That's a pretty staggering stat, especially considering that Adele didn't even employ any Lady Gaga-esque fire-sale tactics. Speaking of Gaga, her Born This Way is the year's second biggest seller with a comparatively modest 2.03 million units. All told, total U.S. sales are up one percent compared to this time last year, which is the same place it was at back in the summer. Hey, flatlining is better than crashing, right? In other Adele news, the singer is resting up after vocal cord surgery. According to UsMagazine [via NME], she's begun some vocal exercises and has staying away from parties and alcohol. Unfortunately for the record industry, she isn't planning on recording her third album anytime soon. She told Billboard, "I'm really looking forward to some time to do nothing. I imagine I'll be 25 or 26 by the time my next record comes out, as I haven't even thought about my third record yet. I'm just gonna lay some concrete, set up home and just 'be' for a bit. I'll disappear and come back with a record when it's good enough. There will be no new music until it's good enough and until I'm ready."